Can you really afford to wait days or even weeks while other computer companies repair your computer? Do you feel like technology specialists speak in a language you do not understand? You can count on EZ-IT to explain exactly what is going on with your computer or network in a way that is easy to comprehend. One call to EZ-IT gets you on-site repairs with amazing customer service that works around your schedule! Guaranteed 24 hour service? Oh, we do that. Should you decide to drop off your computer with us, rest assured that it will be back in your hands within 24 hours--guaranteed--or we won't charge you. Some exclusions apply. Be sure to ask for complete details when inquiring. Our hourly rates cannot be beat! With our 15 minute billing increments, and no charge for travel time you only pay for the time that we are on site working for you. There are no hidden fees or additional charges for work done. Call us today at 970.440.7362 and get the treatment you deserve—fast service, great support, and a local company that can’t be beat. If you need help on evenings and weekends, no problem. We are happy to schedule repairs around work and business appointments, including night and weekend appointments, at no additional costs. We service Rifle, Glenwood Springs, Grand Junction, Aspen, Basalt, Carbondale, Parachute and Meeker. 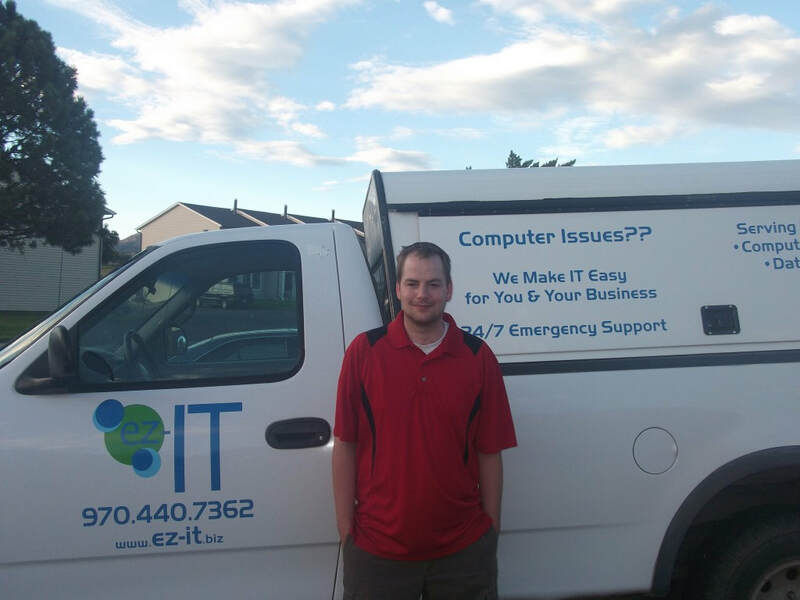 Founder and owner, Jeff Hochstatter, does all of the computer and IT work for EZ-IT. He has over 15 years of experience working on a range of computer issues, and is Microsoft certified.